Ice for Drinks/Catch & FUN!!! 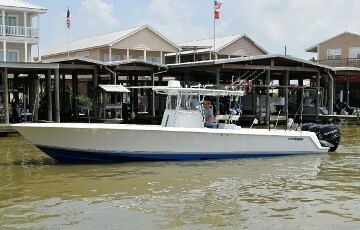 Includes: Rods & Reels, Ice for Drinks/Catch, Fish Cleaning & FUN!! 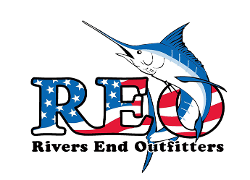 All anglers are responsible for purchasing a resident or non-resident license. (ask for 3 day charter pass). 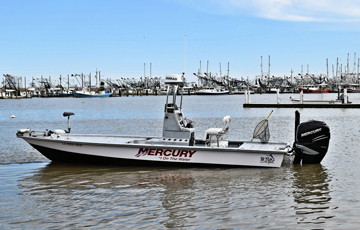 If you have a resident fishing licensing you do not need to purchase the additional 3 day charter pass. Kids 16 and under do not require a fishing license. The average for inshore is 6-7 and offshore is 10 hours. We do not sell time, we sell an experience. Capt. Chris and Capt. Kyle will give 100% to make you trip successful. Zip Locks and an ice chest to take home your catch in. You must provide your own food and drinks for the day. White sole shoes or shoes that will not leave scuff marks in the boat. Absolutely no crocks or bare feet!!!!! We do not accept temporary checks. Checks are accepted only with proper identification. card will be charged unpon departure unless you wish to pay via check or cash. Theres a 4% credit card charge for all transactions. the 50%and 70% depoist can not be applied to any future trip. Charges will be posted to the credit card on file. If you decide to cancel a telephone message or conversation is not suffienct. Please contact REO via our email address at reodana@outlook.com or text 504-905-7227. Please make sure you receive a confirmaton of your cancellation from Rivers End Outfitters. If your trip is canceled due to weather there is no charge.